Do you like Hula Hoops? I love those moments chatting with people when the direction of the conversation suddenly and for no apparent reason completely changes direction. Such as this online conversation with a friend of mine, whom I promised I would keep anonymous. Gareth J M Saunders™: Almost. How are you? Good to see you. Terry Hedges: Christmas is more than just a day. I celebrate everyday through the entire Advent. Gareth J M Saunders™: Ah, well if you want to get technical then Christmas lasts 12 days from 25 December to 5 January. Terry Hedges: I don’t do technical. I do fun. Gareth J M Saunders™: In fact, getting really technical Christmas begins at sundown on 24 December. Terry Hedges: I like the sound of the word ‘Epiphany’. 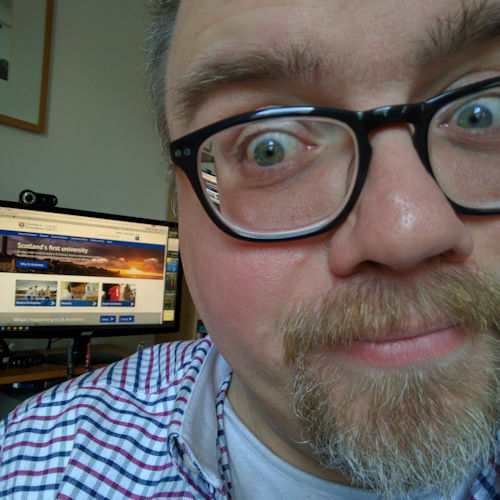 Gareth J M Saunders™: Epiphany is a great word. It means a revelation — like a sudden realisation. Terry Hedges: Do you like Hula Hoops? There was clearly some kind of epiphany going on at Terry’s end of the conversation but I’ll be darned if I can see it! 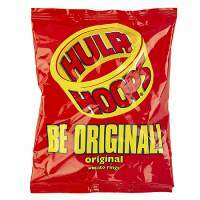 And yes I do like Hula Hoops, but I prefer the Original salted variety. Come on Gareth, you can’t beat the barbecue flavour! I’m with Gareth – the Original’s do it for me. Did anyone else ever put them on our fingers & thumbs and crunch them all one by one? Not in the last ten years, perhaps, but at some point…. I used to do that. I did also used to bite my fingers more times than I ought to have! D’oh! I always used to do that, too! Nobody noticed — or at least commented — that I’d written the wrong week in Advent. It should have been Advent 3 not Advent 4 as I had originally said. I only just noticed it this morning. I must have been a week ahead of myself as I’ve spent the week preparing for midnight mass.